Quite frequently, I've seen Careless Driving charges in rear end collisions reduced to "Follow Too Close". But is this really a good deal? Sure you avoid the major conviction with 6 points, but you still get a conviction for 4 points. And in many cases, the only witness who could describe the driver's conduct is the other driver who may or may not have observed sufficient details through the rear view mirror. I think this is a good deal because why not take 4 points over 6 points? admin wrote: I think this is a good deal because why not take 4 points over 6 points? Because 0 points and no conviction is better than 4 points and a conviction. But what are the chances of that actually happening? I mean getting a 6 pointer then dropping it to 0 and no fine and no conviction seems unrealistic. What are good steps in defending yourself for such a case? Follow to closely may be a good resolution, but you'll never know if you did the right thing unless you get a qualified person to investigate the charge for you. If you just walk in and accept the prosecutors offer of a reduced charge you will never know if someone who knew the court system could have won the case for you. Beside the obvious, cases are won on 11b arguements, filing date errors, and a host of technical errors. If you dont know the legal arguements you shouldnt be defending yourself. As well you always want to push a careless driving ticket to a trial date just to see if the prosecution office can bring all the witnesses to court. If the police officer, or the other driver doesnt come to court there is a good chance the ticket will get dropped completely. As well you never want to defend yourself in a careless driving ticket where there is an accident involved. The reason being that just by you showing up, you provide the "identity evidence" for the court. In any court case the prosecution has to prove the Who, What, When, and Where. If you defend yourself, to prove the "who" the prosecution just has to ask the witness who was it that was involved in the accident with them, whereupon the other driver just points at you. If your represented by a court agent the prosecution may have a problem proving the "who" and you may win your case. If possible you always want to WIN the case completely, not just get a reduced charge of 4 demerit points. When the MTO calls you in to suspend your licence at 9 points, 4 points puts you halfway there. Your insurance company doesnt care about points, they care about any "convictions" on your driving record. So again you never want to plead to anything if you can. Again with the rates insurance companies are charging you have to fight every ticket, your always want the ticket to go away completely. Only if the Police, the Prosection Office, and the Court Administration have everything perfect do you want to consider a plea. Although the prosecutor may offer a 4 point ticket, many qualified paralegals or former officers have enough of a relationship with the prosecutors office that they can get you a 3 point ticket. If its an accident case you want to get a paralegal firm with former police officers who have accident investigation training/certification. admin wrote: lol good point there! I can tell you from my recent experience that 17 of the last 20 Careless cases I've done resulted in a complete dismissal. One resulted in a full conviction (and had excellent grounds of appeal) of the remaining 2, one was reduced to a bylaw (no points and no HTA conviction) and one was reduced to a 3 point charge. I would also point out in the one reduced to 3 points, there were 3 independent witnesses and an adverse admission, voluntarily made by the accused person against himself so it would not have been prudent to proceed to trial. There are all sorts of ways to fight these charges. Just found this site now... my wife was involved in an accident in June 2008, in which she hit another vehicle on the QEW from behind. The police charged her with Careless Driving because the officer said they wanted to ensure they got at least some conviction out of it. He told her that usually when they charge with "Following Too Closely", people will fight it, but if they charge with "Careless Driving", the "pre-trial" meeting usually reduces the charge to "Following Too Closely", although there was indication that a 3-point conviction charge may also be considered, but I can't find a charge in the 3-point section that is comparable. Of course, I left this question too late, as she's slated to meet at the court on October 10. We have not consulted with any counsel, but we have discovered that the current "Careless Driving" charge (even before any conviction) is preventing her from getting life insurance. Are all HTA charges considered "Criminal" charges? Is it too late to attempt to meet with someone about this, which occurred in Oakville? Thanks to anyone who can reply quickly. It's not too late to deal with this. First of all, HTA charges are not Criminal Charges however, unlike Criminal Charges, they remain on your driving record forever - you cannot be pardoned and you cannot get a "discharge" to escape conviction. Depending on the circumstances of the accident, there are other charges which may be 2 or 3 points which are appropriate plea bargains. That being said, an accident related offence is never good in the eyes of the insurance company. It is an admission of some degree of fault. I strongly suggest at the very least consulting a professional. I personally, never recommend pleading guilty to a lesser charge unless the Carelelss charge appears as though it can be made out by the prosecutor beyond a reasonable doubt. Assuming some measured risk has, in the past, proven to be good for my clients as the majority of Careless Driving charges I defend are completely dismissed. You can call me, 24hrs/day at any of the numbers below. 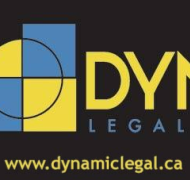 I take approximately 30% of my cases in Toronto and can often arange to be present for the trial or negotiations; otherwise one of my associates can attend to that and I would ensure that I prepped the case properly. So why do the cops do it? Typically people at the scene of an accident (and still in shock) will say something like "I'm sorry, I just took my eyes off the road for a second", "I wasn't paying attention", or "I wasn't looking..." The cop writes this down and then charges you. Or you were at fault, so they charge you for no other reason. If the prosecution's case is that the defendant's driving demonstrated an absence of due care and attention, and the defence is that the defendant was being reasonably careful - i.e. that he was not negligent - any defence evidence which raises a reasonable doubt as to that issue will produce an acquittal. In other words, momentary inattention or a simple error in judgment is not enough to convict you. All you have to show is that you were driving with due care and attention and being reasonably careful. the test, where an accident has occurred, is not whether, if the accused had used greater care or skill, the accident would not have happened. It is whether it is proved beyond reasonable doubt that this accused, in the light of existing circumstances of which he was aware or of which a driver exercising ordinary care should have been aware, failed to use the care and attention or to give to other persons using the highway the consideration that a driver of ordinary care would have used or given in the circumstances. So the first step is to request disclosure to see what evidence they have showing you were driving, pardon me, like an idiot. Typically they will have a witness (who won't show up) statement and a cop (who wasn't there) notes. It's not enough for a conviction so they "generously" allow you to plead guilty to a lesser charge. So bobcat, it's not the 11th hour. You can request an adjournment so that you can obtain disclosure. And you can fight this ticket. Most JP's will not convict on follow too close, stating if you have hit a car stopped for other traffic, clearly you are not paying attention and should have been charged with careless driving. it's almost a darned if you do, darned if you don't? Should just make a new section in the HTA....Strike a motor vehicle from the rear. That would apply to stopped traffic and/or traffic slowly moving, could even be applied to hitting a parked vehicle on the shoulder. I think the issue is if you hit something, should you be charged and with what? Yes there are a lot of bad drivers out there, we know this because we pay some of the highest insurance rates in Canada. If you encounter black ice and end up in an accident, you are at fault. But is there anything criminal about this accident? The mere act of hitting something should not automatically result in a charge. And as for the whole rear-ending rule here's what happened to me (true story). The guy in front of me is making a left turn at an intersection. He's actually in the intersection. The light turns yellow, he puts the car in reverse and hits me. I was petrified because there were no witnesses. He was good about it, admitted fault and paid for the damages. Do charges really need to be laid? hwybear wrote: Should just make a new section in the HTA....Strike a motor vehicle from the rear. That would apply to stopped traffic and/or traffic slowly moving, could even be applied to hitting a parked vehicle on the shoulder. The one problem I see with this is that in "not at fault rear enders" I.e. where someone slams on their brakes, or cuts you off, maybe even out of deliberate road rage, the not-at-fault trailing vehicle will have committed the elements of the offence. By the way, nice avatar-logo. hwybear wrote: BTW...no such thing as "black ice"
From wikipedia: Black ice is ice frozen without many air bubbles trapped inside, making it transparent. Black ice takes the color of the material it lies on top of, often wet asphalt or a darkened pond. Its difficult-to-detect nature makes it a significant hazard to drivers, pedestrians, and sailors. I prefer my ice in cubes.